At quite possibly the peak of her success, Lana Del Rey prepares to begin her next expedition, the 2018 LA To the Moon Tour. This time-around, she invites special guests Jhene Aiko the trippy R&B singer, and Kali Uchis, to help her sell-out shows across the nation. Starting off next year, she swings by the United Center in Chicago for a must-see performance. 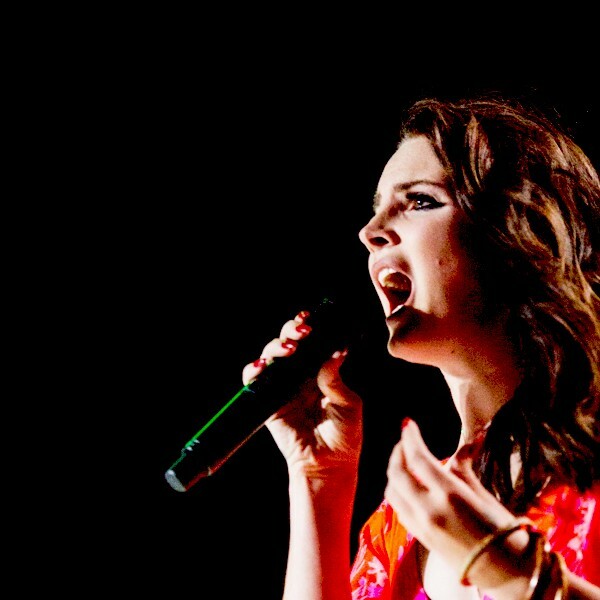 Born Elizabeth Woolridge Grant in New York City, raised in Lake Placid by her wealthy parents, it was not until after high school that Grant piqued an interest in music. The influence she needed came along after she began living with her aunt and uncle in Long Island. Her uncle taught her how write music and play the guitar, and before long, she was writing and performing her own songs. Originally going by Lizzy Grant, she began to see a real career in music begin to form around the year 2005. Eventually, her persona and brand evolved into Lana Del Rey over the course of a few years after she signed to 5 Points Records and began recording much more music. After revealing her new music personality in 2011, she has had platinum hits, critically acclaimed albums, and rock-star-level collaborations, becoming the Lana Del Rey that we are so familiar with today. Stating that she is influenced by Frank Sinatra, Billie Holiday, The Eagles, and Bruce Springsteen, Lana Del Rey has a wide range of inspiration that she draws from for her music. Critics often label her sound as “Hollywood sadcore”, often sounding very cinematic, filled with pop culture references within her music, and style. As she continues to create music and experiment with her sound, Del Rey continues to grow and expand to many different genres. Her music often lends to dream-pop, indie rock, or trip-hop. She even reaches as far as hip-hop in certain instances, particularly her song “National Anthem”. However, this expansive, experimental style does not hold her back from producing hit romantic love-songs such as “Love”, or “Lust For Life” featuring The Weeknd. If anything, it gives her the ability to skyrocket into the mainstream as she did with her collaboration with Cedric Gervais for the club-anthem remix of “Summertime Sadness”. These hits, and her melancholy, psychedelic vibe, can all be seen at the top of the year next year at the United Center.